Who is killing America? Is it really Donald Trump and a GOP filled with white supremacists? 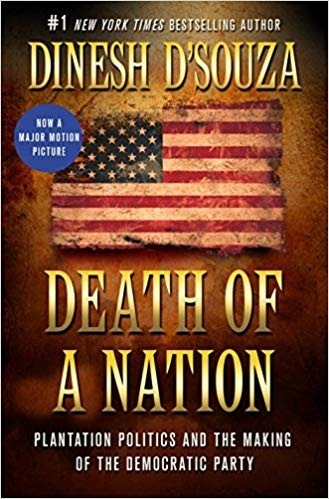 In a major new work of historical revisionism, Dinesh D’Souza makes the provocative case that Democrats are the ones killing America by turning it into a massive nanny state modeled on the Southern plantation system. This sweeping alternative history of the Democratic Party goes back to its foundations in the antebellum South. The slave-holding elite devised the plantation as a means of organizing labor and political support. It was a mini welfare state, a cradle to grave system that bred dependency and punished any urge to independence. This model impressed northern Democrats, inspiring the political machines that traded government handouts for votes from ethnic immigrant blocs. Today's Democrats have expanded to a multiracial plantation of ghettos for blacks, barrios for Latinos, and reservations for Native Americans. Whites are the only holdouts resisting full dependency, and so they are blamed for the bigotry and racial exploitation that is actually perpetrated by the left.